Welcome to my blog buddy Ashley's Blogaversary "Anything But a Card" Hop ... and happy celebration of a year's worth of fantabulous blogging by Ashley, where this blog hop starts. 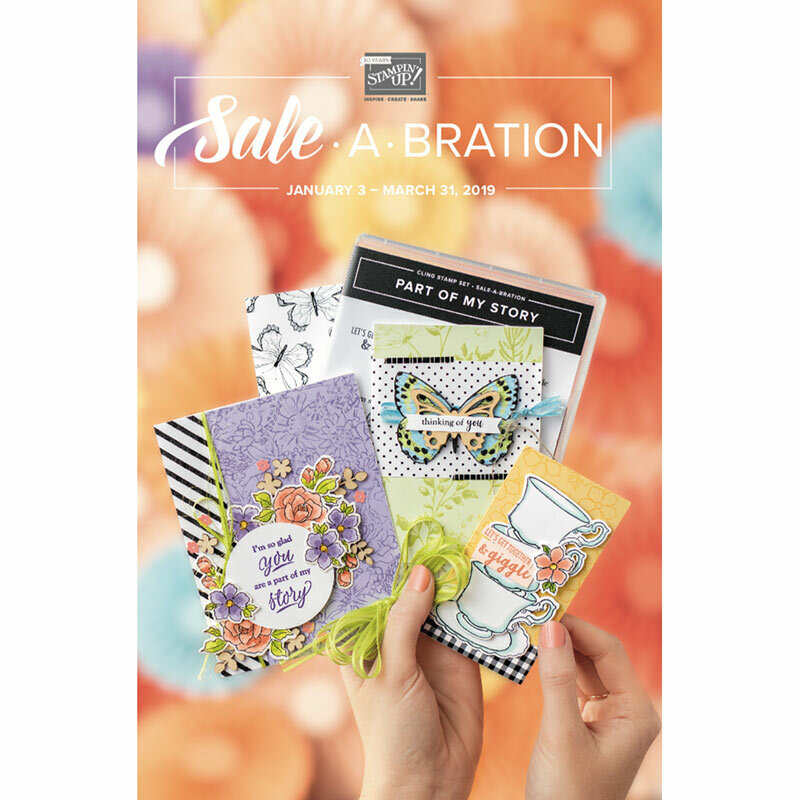 When you're ready to move on, your next stop is MISTY, one of the generous blog candy sponsors for this hop. I'll admit, I'm a cardmaker at heart. But when Ashley presented me with an opportunity to join her hop in celebration of her blog's anniversary, she had me stretch out of my comfort zone. And since then, I have made more non-cards than cards!! 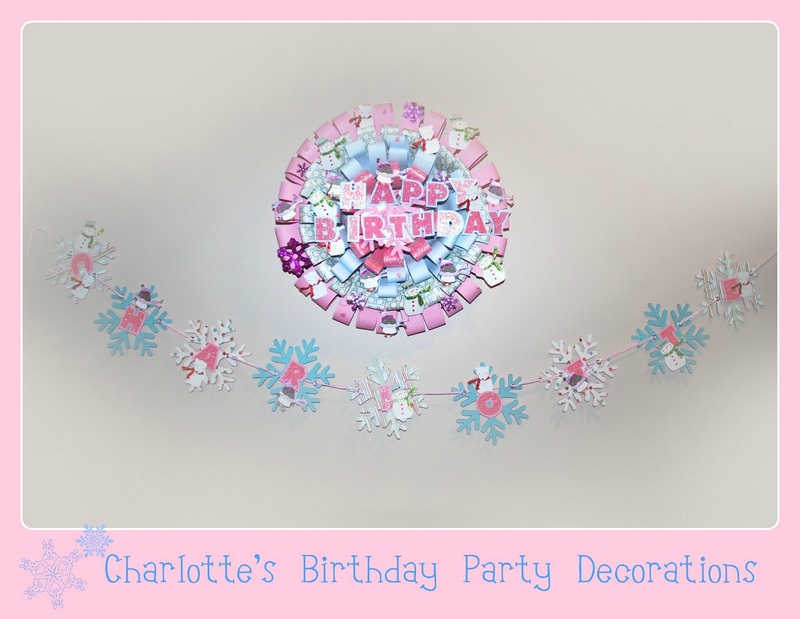 Today I'll show you some of the decorations I've made to celebrate Charlotte's first birthday. 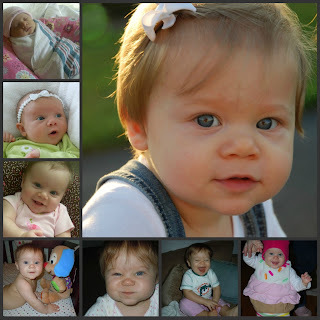 My sweet granddaughter, Charlotte Grace, through the year. Charlotte (aka Charley or Cheezer) is my granddaughter who (unbelievably!) turns one in about 3 weeks. Isn't she a cutie pie!? My daughter Emily selected "penguins and snowmen" as the theme for Charley's December 6 birthday celebration to be held a few days later. then embellished with fussy-cut paper, Sizzix-cut letters and stickers. 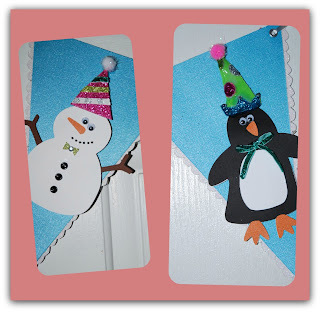 fussy-cut penguins and snowmen, cut from a specialty paper. I then Stickled the penguin's hat and scarf. 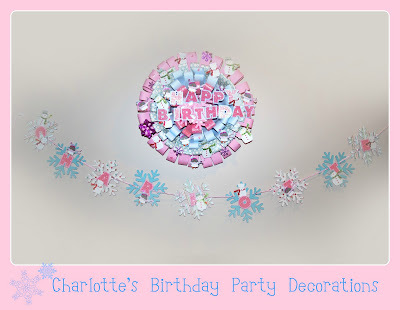 I almost forgot to show you this adorable additional decoration for Charlotte's party! 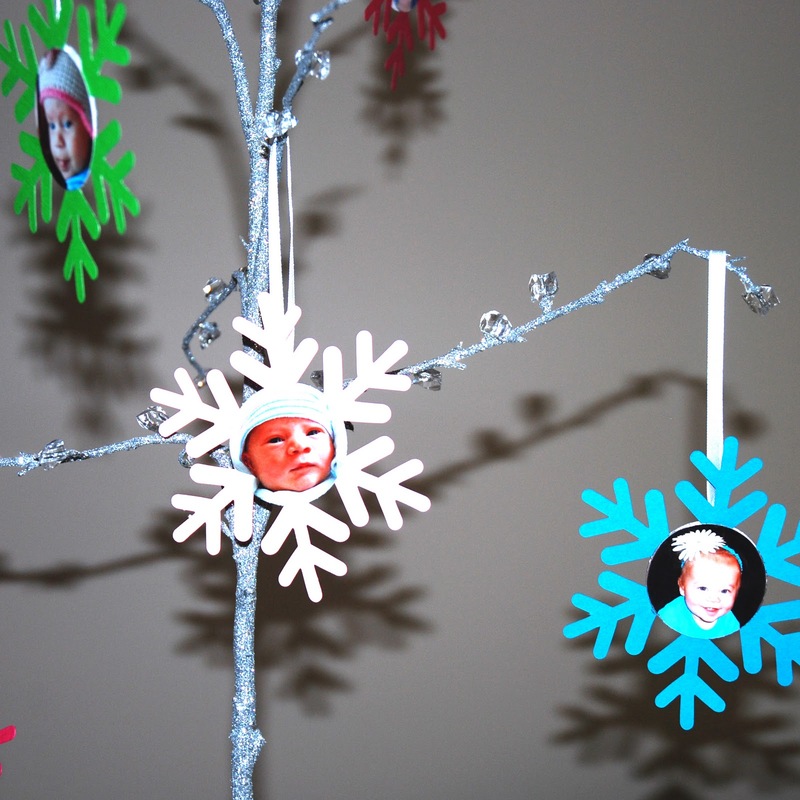 My daughter Emily (Cheezer's Mom) is working on this sparkly tree filled with snowflakes that have punches of Charlotte ages newborn and at each of the monthly milestones. On the back of each snowflake, there's a punch with the age on it to help us each remember those earlier days. This tree will eventually be fuller of course, with sparkly branches with twinkling white lights as well as this kind (from Michael's) with crystals affixed to the branches. Now for information on the fabulous prizes that Ashley has been able to secure for those who visit this blog hop: Please jump to Ashley's site (CLICK HERE) for more info on any of these prizes as well as Ashley's GRAND PRIZE, a $20 gift certificate to the winner's choice of either Michael's, AC Moore, or JoAnn Fabrics. Please leave a comment and follow here too -- I ♥ to get them, and you never know when I might sneak in with some blog candy of my own or a R.A.K. to you too!! Thank you again to Ashley for hosting this Hop, and to you for joining us today. 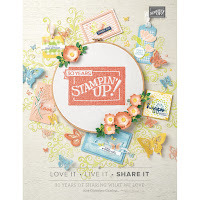 Now hop on over to Misty to see what fun projects she has in store for you! OMG! What a cutie pie is rught, they grown up so fast. You did a beautiful job on the decoration and I am sure both your daughter and granddaughter will love them. TFS! (-: Thanks, Jenny!! I love, love, love Cheezer to bits. Do you know that little wonder can be crying and miserable (not often) and if you point a camera at her, she cheers up and hams it up. That's how she got the nickname CHEEZER, "Say cheeeeeze!" She's off visiting other relatives for a week and I can't stand being away for that long -- and she only left 5 hours ago!! :-( I know, I know, share and share alike!! 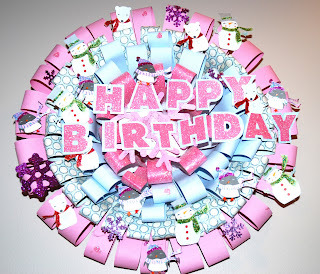 Your granddaughter is adorable and I love the birthday decorations that you have made!!! Pleasure being part of this hop with you!!! Ellen, your projects are so adorable. I am sure when the baby looks back she will love them. I love the banner on her high chair...It is a pleasure hopping with you. TFS! cheeezer is going to love all of her decoration because i know i do. you done a awesome job grandma. Amazing the changes in that first year. My son is four and after all of those early radical growths/changes, I feel like he's been just the same for a year now. I know he hasn't but it's definitely more gradual now. 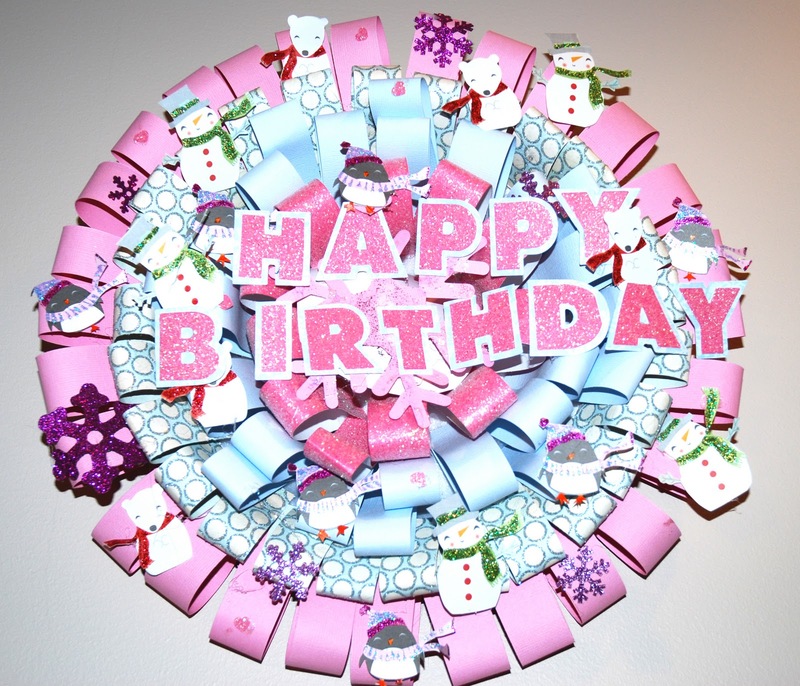 Fantastic birthday set- really like that you went so far as to make a matching wreath. Your bunting is fabulous! everything is so adorable, i LOVE the highchair decorations.. I am a new excited follower! Love the song on your blog...so true! Your projects are adorable..looking forward to seeing more! Very gorgeous projects! What a special first birthday your granddaughter will have!! 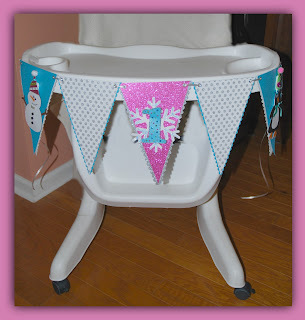 I love the banner around the high chair....too cute!! 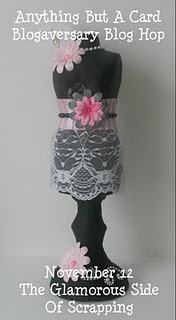 Ellen - love all of your creations! I've become a follower too. Just adorable! What wonderful projects! 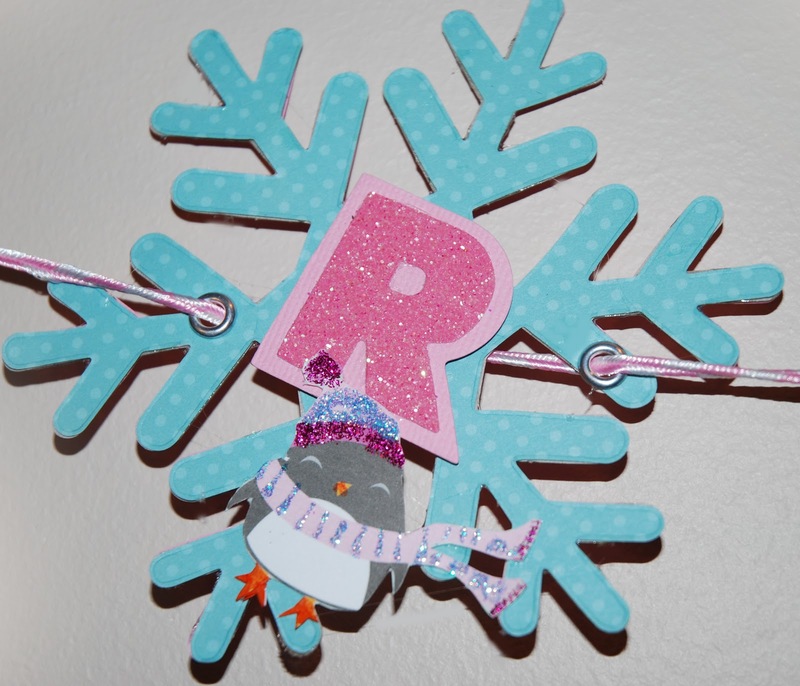 Beautiful decorations for a gorgeous baby girl. Thanks for the inspiration. I was EEKing earlier when I saw your post. Love love everything. You know colors and patterns distract me lol. The wreath is awesome, different and I love it. The banner for her high chair is adorable and such a great little keepsake for her. She's adorable I love seeing all the pics of little Charlotte. Thank you for joining me on my blogaversary and can't wait to meet you. Your Grand is so cute. I am sure she will love everything you made. So whimsical. The wreath is my favorite. I will have to try that for my niece. Thank you for sharing. FABULOUS!!! Makes me wanna party! Your projects are gorgeous! Thanks for sharing! What a fun party!!! I love how you tied everything together. It looked great! Charlotte is a doll. TFS!!! Scrappy hugs. Wow!! All of these decorations are just SO cute!!! Great colors & theme! I was so blessed to get to see most of your projects in person and I am constantly in awe of your creativeness. Your page is so wonderful as well. So glad we are hopping together. Ellen, you Rock with Banners! Those are awesome, love them all. Great job! Ellen, you have a beautiful granddaughter!! She is one lucky girl to have a grandma that will be helping her celebrate her birthday in style!! I'm hoping for a granddaughter in May since I have 4 boys but will love whatever we get!! I'm already a follower!! Thanks for sharing! AWESOME stuff. Stinking love every last bit of it. That baby is BEAUTIFUL!!!!! Just wanna kiss her lil cheekies. Your grand daughter is so precious! I love all the cute decorations. I just love the tree that is such a wonderful idea. Thanks for sharing. You can tell she is the twinkle in grandmas eyes. Oh what a cutie Charley is!!! And your decorations are too adorable!